Originally home to the indigenous Kaurna Aboriginal people, South Australia was officially proclaimed a new British colony on 28 December 1836, now known as Proclamation Day. 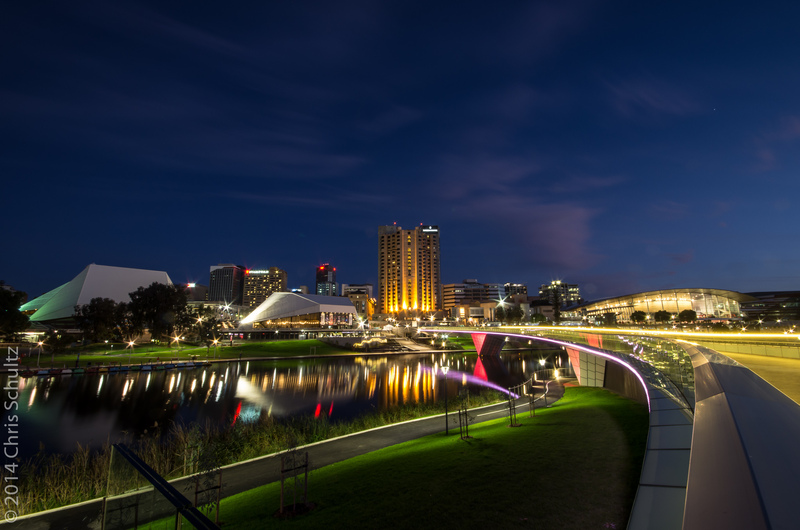 Colonel William Light, the first Surveyor-General of South Australia, surveyed and laid out the city on a site chosen close to the River Torrens, the main water supply for the colony. It was designed in an organized grid pattern with principal streets crossing at right angles, based on the Sicilian city of Catalia. 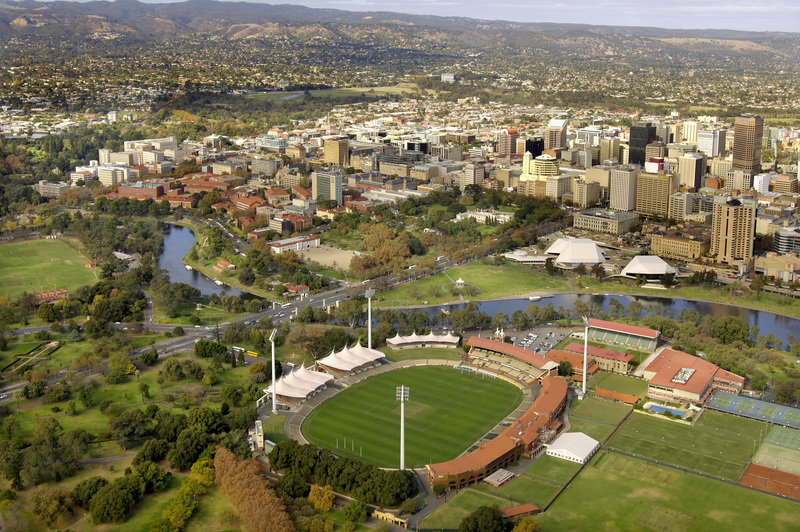 Unlike many new British colonies in Australia designed for convict settlers, Adelaide was established for free immigrants and promised civil liberties and freedom from religious persecution. Funds were raised from land sales to bring out working class emigrants from Britain who would provide labor for the land-owning settlers. While economic uncertainty marred the colony’s fledgling years, the arrival of livestock and wool production from New South Wales and Tasmania in 1838 help to boost the economy, together with the establishment of wheat farms. In 1856, South Australia became a self-governing colony but the latter years of the 19th century saw exports nearly halved by a severe economic depression, worsened by drought and poor harvests from 1884. The wine and copper industries were the only to stay afloat during this period. While the city experienced a post-World War I boom, drought returned with the Great Depression of the 1930s leaving many unemployed. World War II saw an industrial boom as Adelaide marketed itself as a safe location for manufacturing with shipbuilding expanded at the port of Whyalla and General Motors Holden and Chrysler establishing car factories around the city. In 1954, a pipeline was built to transport water from the River Murray to the city while an assisted migration scheme resulted in 215,000 immigrants arriving into Adelaide, mostly from European countries, thus diversifying the population. In the 1970s the Dunstan Government initiated a cultural revival that was built on the biennial Adelaide Festival of Arts that has evolved into today’s Adelaide Festival, Fringe, and Womadelaide that draw millions of visitors to the city every February and March. 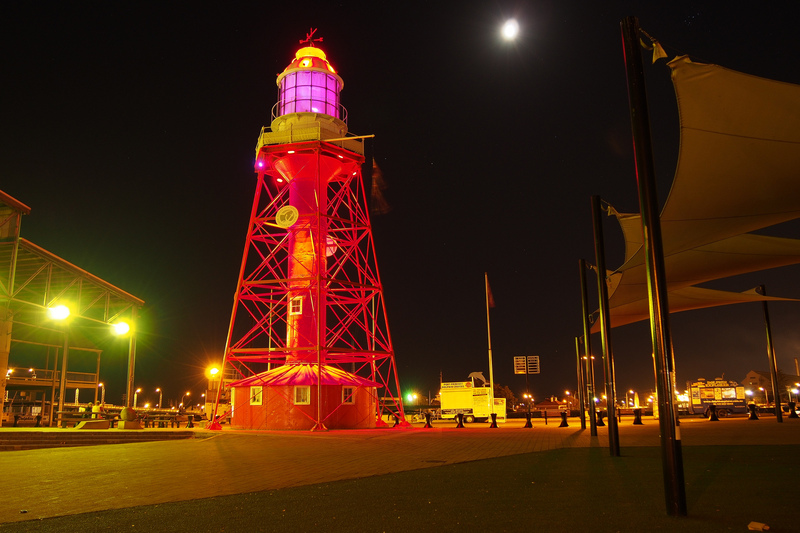 Northeast of the city at Port Adelaide lies this historic harbor town with boat cruises, dolphin watching, and the historic Port Adelaide Lighthouse to explore. The South Australian Maritime Museum, Australia’s oldest maritime museum, is also located here, along with the Port Adelaide Train Museum that will keep train enthusiasts entertained. The Adelaide Hills to the southeast of the city is a beautiful countryside to drive through. Mount Lofty Summit offers spectacular views back across the city while a number of wineries are dotted between the historic settlements of the region. Hahndorf is a German settlement that's a short drive from the CBD with its own chocolate factory and strawberry farm, as well as pubs serving German beer and fare and renowned German bakeries. 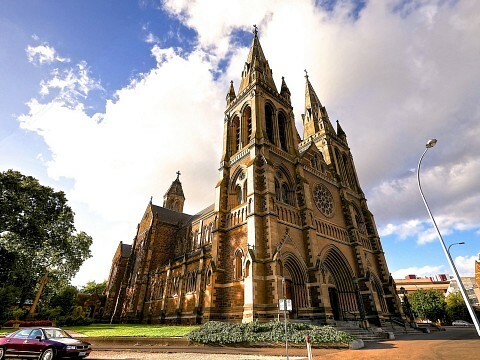 Adelaide has been dubbed the ‘City of Churches’ with some beautiful examples throughout the city. St Peter’s Cathedral dominates the skyline to the north of the city and is open to visitors, while St Francis Xavier Cathedral and Holy Trinity Church are also well worth visiting. Adelaide’s favorite beachside suburb, Glenelg, is a 20-minute drive or tram ride from the CBD and has an extensive range of shops, cafés, and restaurants. The main square comes alive on weekends with buskers and entertainment for the kids. Cleland Conservation Park is also a 20-minute drive from the city and allows visitors to get up close and personal with Australian native wildlife. You can feed many of the animals and cuddle a Koala, as well as participate in an Aboriginal cultural tour. The area south of Adelaide at McLaren Vale is one of Australia’s premier wine growing regions. It is a great place to spend the day driving through the vineyards, tasting wine, and sampling the local produce that is grown in the region. The tourist information center in the town of McLaren Vale has maps and information on all the wineries and can help you create an itinerary to suit your tastes. Along North Terrace stands the Art Gallery of South Australia and the South Australian Museum. 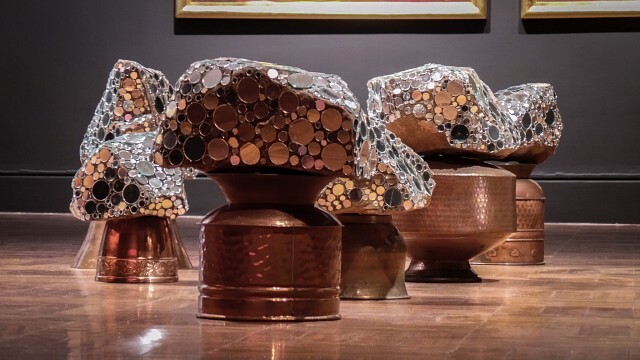 The Art Gallery has a large permanent exhibition and changing temporary exhibitions in the basement and top floors, asserting Adelaide’s commitment to the arts. The Museum is dedicated to the natural and scientific worlds with dinosaur skeletons, Antarctic and Pacific cultural exhibitions, and a famous giant squid that traverses multiple floors. The Adelaide Zoo has made its mark as a major tourist attraction after two giant pandas were relocated here, the only place in Australia to see these beautiful animals. The zoo is also home to a large variety of animals from throughout the world, as well as a large section of Australian animals. The Royal Botanic Gardens are across Botanic Park from the zoo and offer a beautiful respite from the city. They feature an ornamental lake, a large tropical observatory, a succulent house, and an enormous flowering water lily. 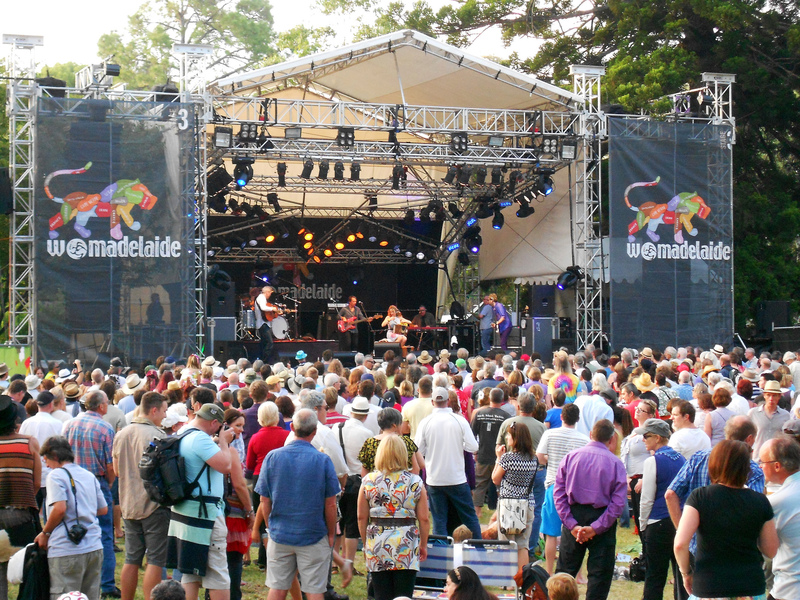 If possible, try and time your visit to coincide with Adelaide’s festival season in February and March when the Adelaide Festival, Fringe, and Womadelaide come to town. While accommodation can be more difficult to find during this period, the city most certainly comes to life with music, dance, art, theater, comedy, and many events are free to attend. 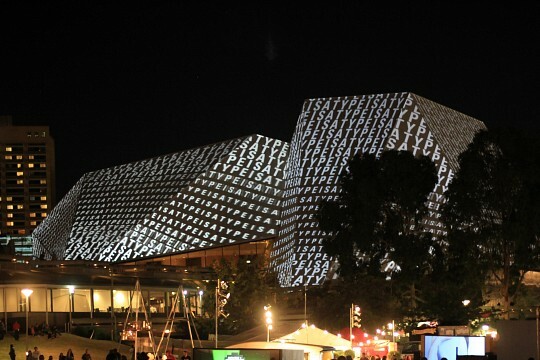 In January the city also hosts the international cycling race, the ‘Tour Down Under’, when all the big name cyclists arrive, and in mid-March the Clipsal 500 supercar racing ignites Adelaide’s streets. Adelaide stretches 12 miles from the coast to the foothills along the Adelaide Plains, between the Gulf of St Vincent and the Mount Lofty Ranges. It has a total land area of 541 miles² with the Torrens and Onkaparinga Rivers providing the largest catchments. The loss of native bushland following British settlement and urban development has had a negative impact, particularly due to coastal erosion, and government initiatives to rebuild and revegetate sand dunes along the beachside suburbs are helping to counteract this. 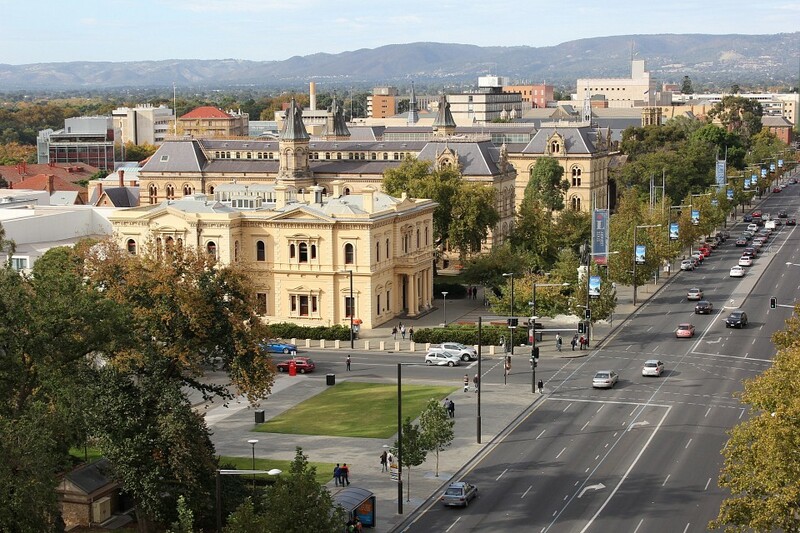 Adelaide experiences a Mediterranean climate with hot , dry summers and relatively mild winters. Rainfall is unreliable and infrequent during summer, often resulting in household water restrictions, while June is the wettest month, averaging around 80 millimeters of rain. Health care and social assistance are the largest employers in South Australia with retail trade coming in second. While manufacturing used to be the biggest contributor to the economy, it still plays a significant role, along with defense technology, high tech electronic systems and research, and commodity research. Adelaide International Airport has direct flights to Auckland, Hong Kong, Denpasar, Kuala Lumpur, Singapore, and Dubai, as well as connections to major Australian cities. From the airport, public buses depart every 15 minutes for the city center and tickets cost between $3 AUD ($2.62 USD) and $5 AUD ($4.18 USD). The bus terminal is in the west of the CBD,- and Greyhound Australia runs services to Sydney, Melbourne, Alice Springs, and South Australian regional centers. Although slow and relatively expensive, Great Southern Railway has long-distance tourist trains departing from Adelaide that take in the stunning Australian outback scenery. The Ghan runs through Alice Springs to Darwin, the Overland heads to Melbourne, while the Indian Pacific crosses the Nullarbor Plain , west to Perth and east to Sydney. 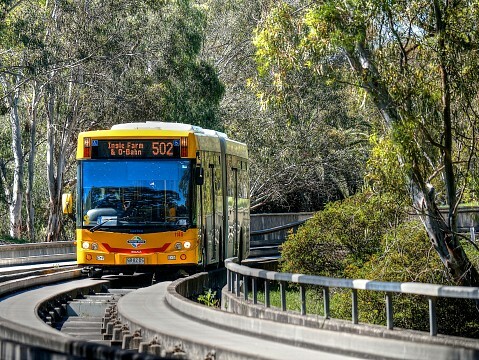 Buses, trains, and trams combine to form Adelaide’s public transport network and you can get a 3-day unlimited travel Visitor Pass for $25 AUD ($21 USD). Individual tickets start at $3 AUD ($2.62 USD) and can be bought at stations, from the drivers, or at the Passenger Transport InfoCentre on King William Street in the heart of the city. Most of the city’s main sights are fairly concentrated, and due to the grid-like pattern, it is easy to walk the city and not get lost. If you want to head to the beach, the historic Adelaide tramway to Glenelg is a good option, although the majority of trams have now been modernized. A large number of budget hostels are located around the Central Bus Station in the city’s west, making it easy for backpackers to find accommodation. The Adelaide Central YHA and My Place Adelaide have dorm beds starting from around $20 AUD ($16 USD) per night. Mid-range options are dotted throughout the city with the Mantra group represented on Frome Street and Hindmarsh Square, and the Quest group found on King William and Pulteney Streets. Both offer short and long-term stay rates. The Stamford Plaza, Hilton, and Medina Grand make up Adelaide’s big luxury hotel choices, all located in the middle of the CBD close to Adelaide’s major sites. 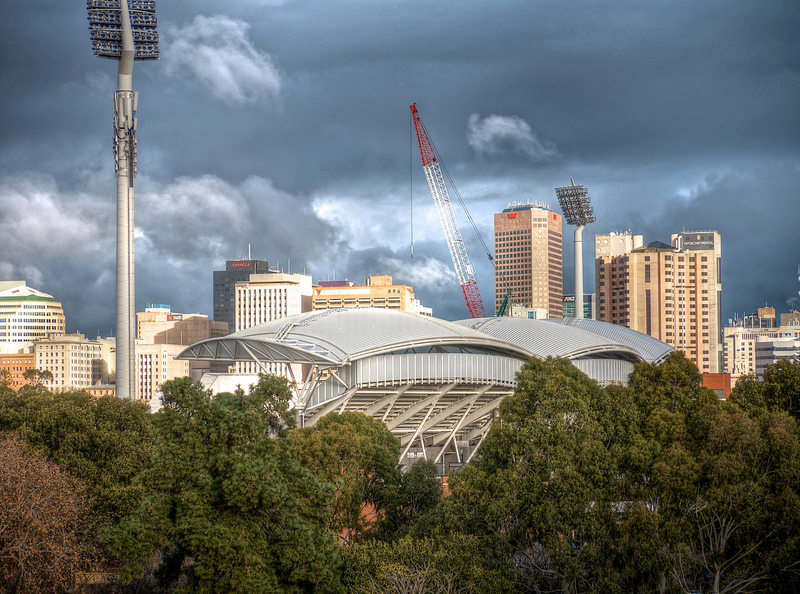 Adelaide is home to excellent cafÉs and restaurants, many of which are centered around Gouger Street, Hutt Street, and Rundle Street in the CBD. If you wander down any of these roads you are bound to find cuisine to suit your taste – from Argentinian to Asian and Italian to Indian. The area surrounding the Central Market is also home to Adelaide’s Chinatown where a large number of budget Asian eateries can be found. 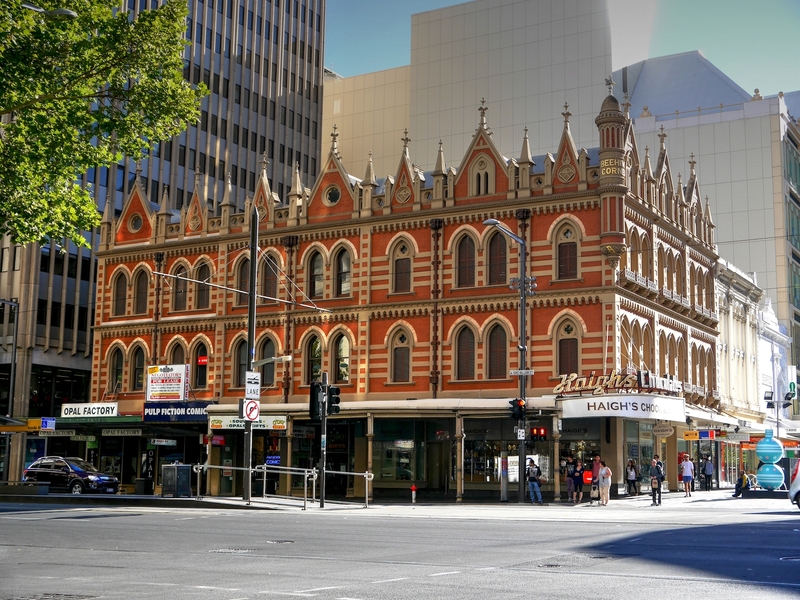 Outside of the center, North Adelaide’s Melbourne and O’Connell Streets are favorite places for Adelaidians to indulge in their café culture, as is the southern extension of King William Street, known as King William Road, where cafés and restaurants are interspersed with boutique shopping. 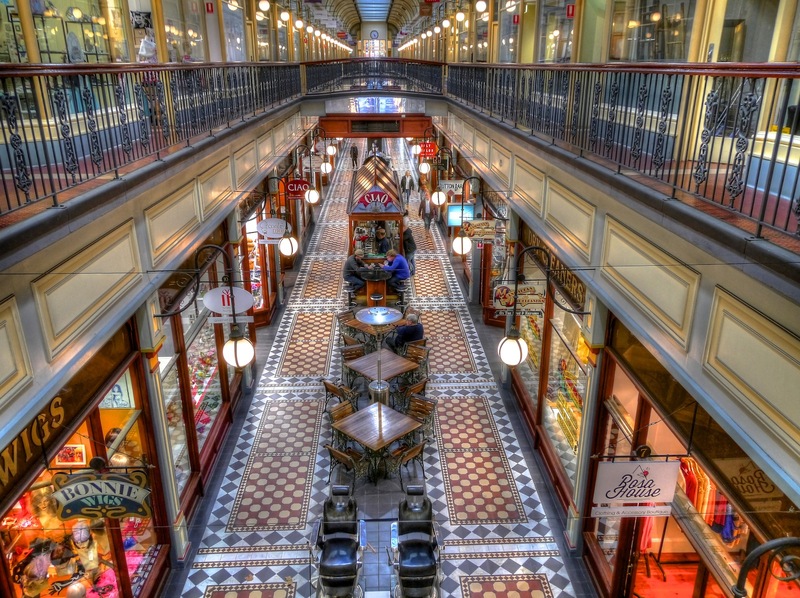 Rundle Mall is the heart of Adelaide’s shopping district with major chain and department stalls represented. Its extension, Rundle Street, is home to more upmarket and alternative boutique stores, record shops, and gift stores. If you are after a bargain, Harbour Town, near the airport, has an extensive range of outlet stores offering significantly reduced prices or Westfield Marion Shopping Center is a huge mall to the southeast of the city with everything under the one roof, including a large cinema complex. For locally sourced produce, head to the Central Market between Grote and Gouger Streets. There is a lively atmosphere, a large range of gourmet meats and cheeses at good prices, and cheap lunchtime eateries adjacent.